Bring your valid State-issued ID and your purchase or carry permit to pickup your firearms. A renewal receipt is not considered a valid ID for a firearm purchase. Verify the item you’re purchasing meets your state, county, or city firearms laws. All non-firearm items must be shipped to the billing address of the credit card. All firearm orders must be shipped to a licenced dealer, or an FFL. If you’re ordering via www.marksgunsllc.com or via phone, you can contact a local dealer or gun range to see if they’ll receive the shipment for you. You can also use sites like fflgundealers.net to locate dealers near you. Once you locate one, please email a copy of their ffl to ffl@marksgunsllc.com or fax it to 651-760-8284 as we must have a copy before we can ship to them. 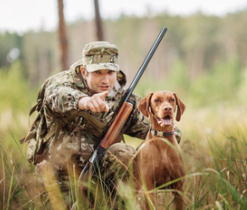 Once your selected FFL receives the firearm, you’ll have to go pick it up and they will perform a background check and anything else as required by local law.